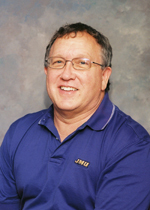 Dr. Lasher received a Bachelor of Science degree from the University of Maryland at College Park in Biochemistry. He then went on to earn a Doctor of Dental Surgery degree from the University Of Maryland Baltimore College Of Dental Surgery in 1979. Dr. Lasher received honors in Prosthodontics and a fellowship in Geriatric Care at the Waxner Center in Baltimore Maryland. Dr. Lasher is a member of the American Dental Association, the Maryland State Dental Association and the Patuxent Dental Society. He has been a Delegate to the Maryland State Dental Associations House of Delegates for more than 10 years. Dr. Lasher has lived in Southern Maryland since he was 10 years old. He graduated from Crossland High School in 1969 and moved to Charles County in 1979. Dr. Lasher’s practice philosophy is to treat all patients with kindness and respect, as he would like to be treated. His main objective is to help his patients achieve a smile they are happy with.